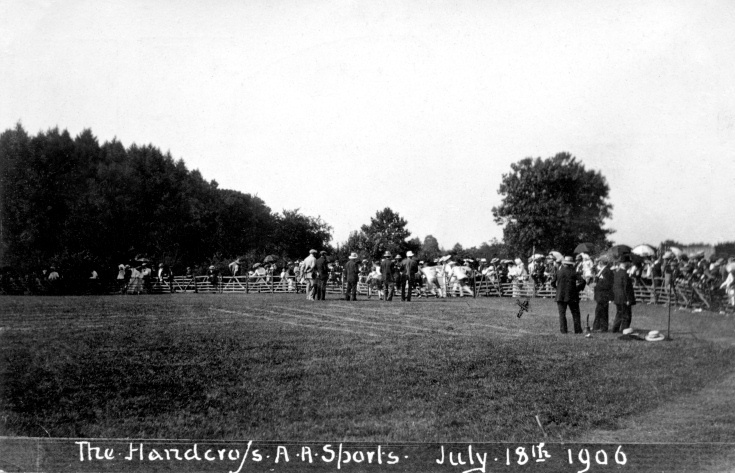 This photograph of the Sports Day in Handcross was supplied by Jennie Pettit and shows her grandmother, Mabel Tester (1890-1984) who married Henry “Harry” Field in 1915, and Mabel’s youngest sister, Winifred Tester (1900-1991). They are marked on the photograph with a cross. They lived with their parents, George and Margaret Tester, on the Handcross Park estate for which George was farm bailiff. There is an abundance of sporting activity in the distance, but I am not sure which event is taking place.